In addition, the association asks for feedback from sailors for the next Midwinter Regatta. Editor’s note: Dates were changed in this article to reflect the first weekend is currently planned for the 9th and 10th of February, not the 19th. 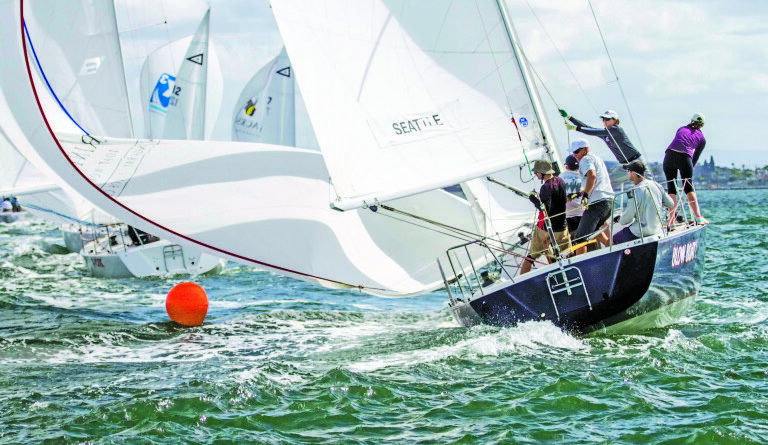 SOUTHERN CALIFORNIA—This year is rapidly racing to a close, but it is never too early to think about sailing events and regattas in the New Year. Perhaps in 2019 some sailors might want to create new goals or enter even more races than in previous years. Southern California Yachting Association (SCYA) announced the race committee has begun work on the 90th annual SCYA Midwinter Regatta. The regatta has been scheduled over two weekends on Feb. 9 and 10 and the following weekend on Feb. 16 and 17. However, SCYA is aware that weather conditions may not always be the best during this time period, even in Southern California, and remain open to changing the dates if needed. SCYA stated on their website, “We recognize that the weather conditions are not ideal in some regions and that there are conflicts with other regattas so we will be open to alternative dates. After a break with the holiday season, the Midwinter Regattas represent the beginning of a new sailing year leading into the summer. The main goal of this event is to support recreational boating endeavors and to make it fun for participants. SCYA continued, “Our goal is to make the event as convenient and fun as possible for the sailors and host clubs. So, if you have a preference on dates or suggestions let us or the host club know. We look forward to seeing you out in the water and thank you for your participation. SCYA is a nonprofit recreational yachting and boating organization that serves Southern California, but also clubs inland to Nevada and Laughlin, Arizona. Their mission statement is to support and promote amateur sailing, fostering local, regional, national and international boating activities. For more information, visit the website at scyamidwinterregatta.org.